Previous Article What Do Farmers Do After Harvest? A couple of things I found in my research on the issue. -There was also a 70% reduction in bee death last year in Ontario which they are attributing in part, to the late season in planting corn. – Note also that only 65% of all beans are being treated while almost all of Ontario’s corn is treated with neonics. -The Ontario research under Tracy Baute also noted that only 30% of Ontario’s acres require neonics and that the new “Fluency” agent along with planter adaptations provided a 28% decrease in bee death. -There is also a lot of controversy over how beekeepers are managing their hives which has resulted in the Alberta Beekeeper assoc. from distancing themselves from the Ontario Beekeepers Assoc.’s. lawsuit. In fact a new assoc. has started in Ontario as a result. If people want to comment before Jan 25/15 on the Pollinator Health proposal; PLEASE DO!! Thanks for the comment. 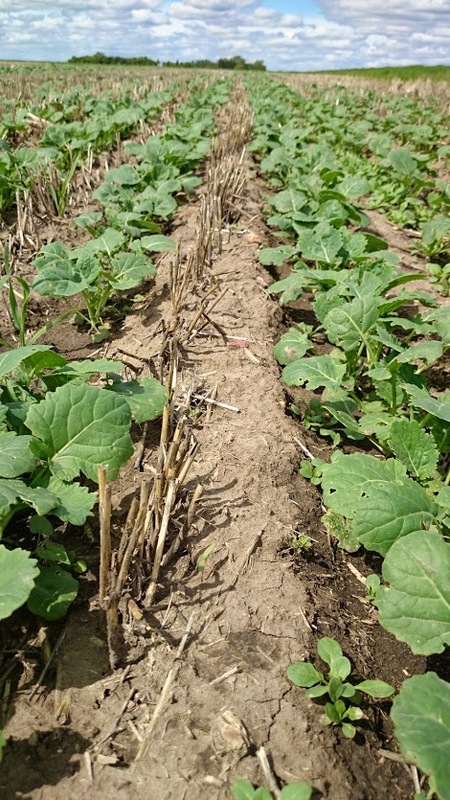 I have to disagree with research suggesting that only some acres require insecticidal seed treatments.The problem with controlling early-season pests is that you don’t know if they will be a pest- until they are. All farmers can do is either treat or not, with little knowledge of whether it will be economically viable. Better forecasting on early-season insect pressure would help that situation, but that is a very complex thing to forecast. I do find it very interesting that despite the wide adoption of neonic seed treatments in the West, bee numbers are increasing. I would say that neonics alone are not really the issue. I would suggest that insecticides of any kind that dust off from vacuum planters will likely prove to be the main source of farmer-caused bee death. Improvements in planter technology and fluency agents are, as you noted, already improving this situation. Great points!